Introducing our 2015 holiday design collections! For the past few months, we’ve been hard at work on this year’s collection of holiday cards, and we’re finally finished! 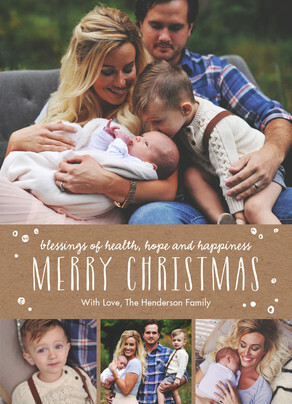 In addition to all the other great new holiday cards you’ll find on Cardstore this year, we’re especially proud to introduce our 2015 holiday design collections. Each one highlights a specific tone, so whatever “holiday joy” looks like to you, we hope you’ll find just the right card to help spread it around! Deck the halls with everything Christmas. From trees to wreaths, you’ll find fresh takes on timeless Christmas icons, in traditionally festive reds and greens. 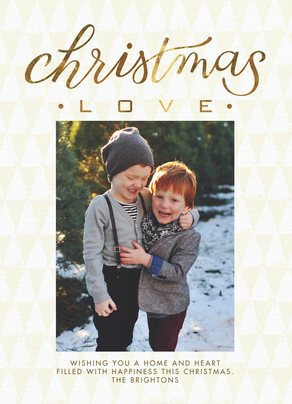 These cards are Oh, So Christmas! Even in the middle of winter, the holiday season is full of life. Our Winter Garden collection is lush with evergreens, poinsettias, holly, mistletoe, and any other seasonal flora you might be looking for. ‘Tis the season for cozy. Rich with textures, warm plaids, and handcrafted looks, our Rustic Cabin collection is like a cup of hot cocoa in front of a crackling fire. Whimsical, colorful, and very, very merry! Holly Jolly is Christmas fun for the whole family. 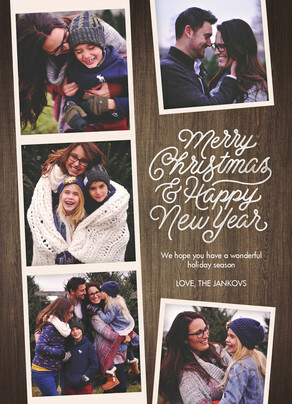 With striking, graphic looks, our Holiday Pop cards will definitely turn heads. Their sophisticated color palette, punctuated with occasional pops of neon and citron, add the perfect amount of holiday happy. Merry Glitzmas! Flashes of metallic and glitter accents can highlight your holiday spirit, all the way through New Year’s Day. All Decked Out pairs metallic and glitter accents with darker, luxurious backgrounds for a visually striking look. Whatever the upcoming holiday season brings you, we hope it’s nothing but the best, and we really hope you enjoy these cards as much as we do. Have any thoughts? Let us know! 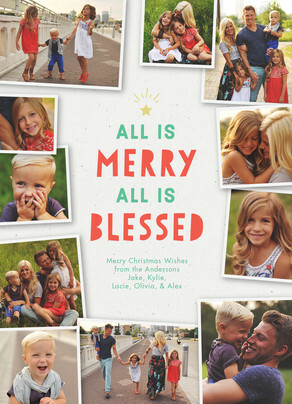 Meet our 2014 holiday design collections – the merriest cards of the year! Making a card? 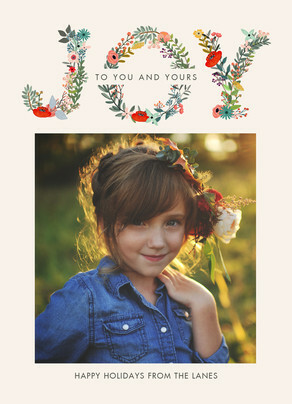 35 instantly usable Christmas card messages DIY card wreath – an easy & festive Christmas card holder Merry Christmas from the Cardstore team!